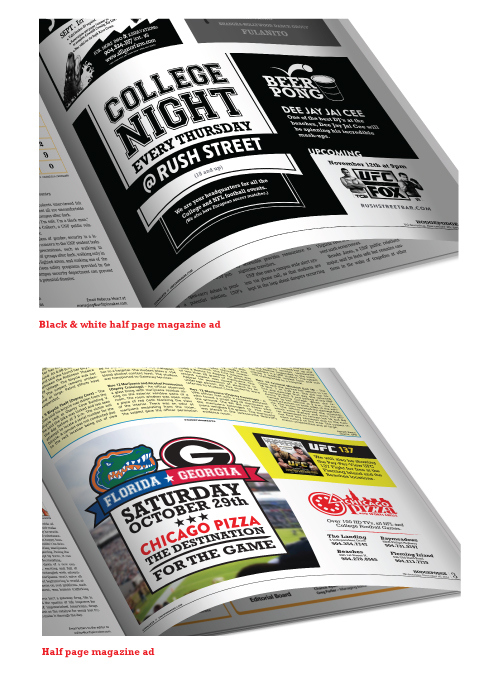 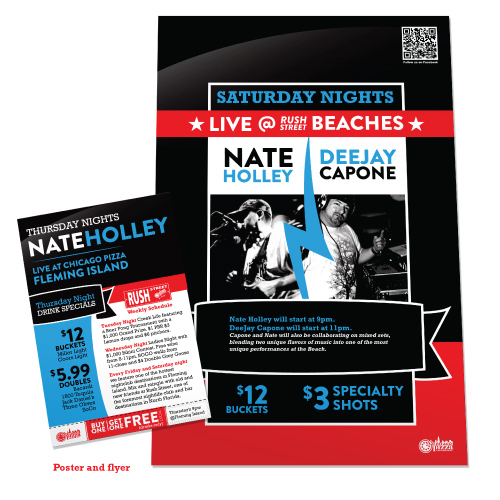 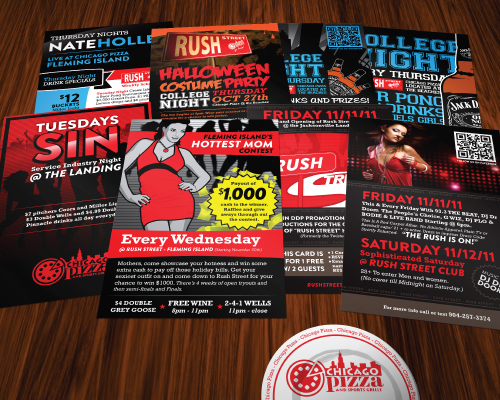 These are various print materials for Chicago Pizza restaurant and their late night branding Rush Street. 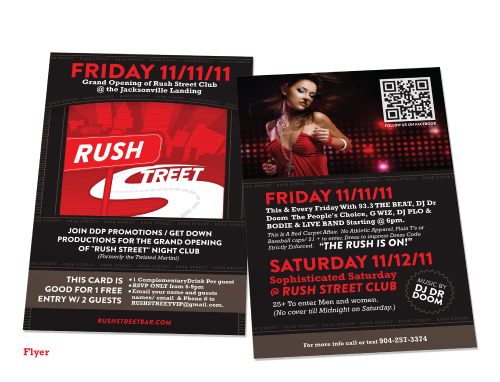 Most of the following are materials created for Rush Street, which falls somewhere between a night club and a dive bar. 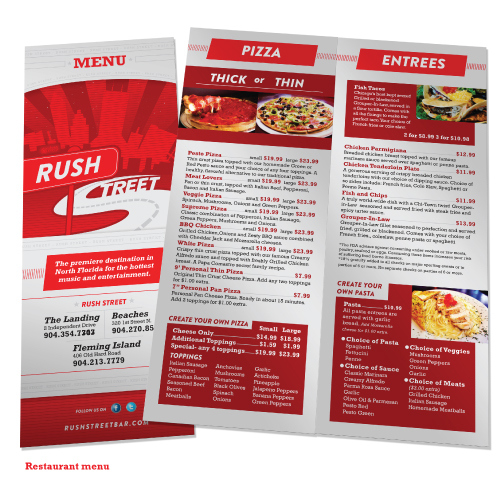 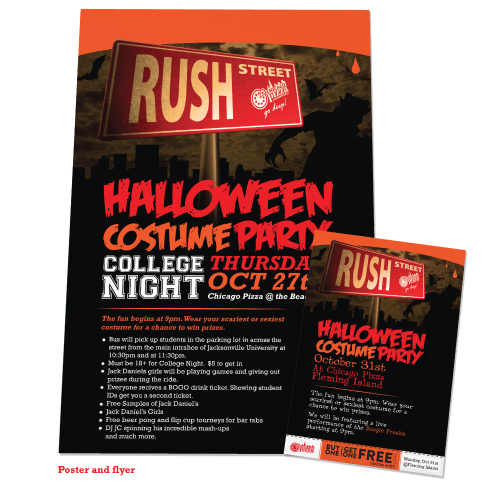 Various print materials for Chicago Pizza restaurant Including the "Rush Street" branding.